It’s been a busy month. Forgive me? Now that it is mid-May and spring is beginning to work its wondrous magic in most places, I do not have to feel guilty about sharing a recipe for a warm weather treat like ice cream. I love ice cream and I highly recommend that everyone, if you do not already have one, keep an eye out for ice cream makers going on sale. I love my Cuisinart ice cream maker. It is so quick and easy to use, the possibilities are endless, and there is something so satisfying and lip smacking good about eating freshly made ice cream that is free of preservatives and scary ingredients such as corn syrup. 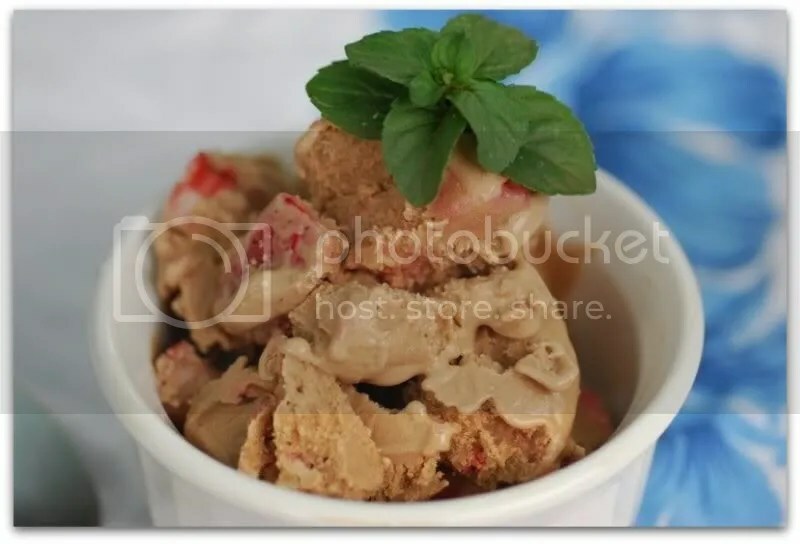 This particular ice cream combines the flavors of carob and fresh strawberries. Cocoa powder would work just as well in this recipe, I just happen to really love the flavor of carob. Enjoy! In a food processor, process the tofu until smooth. Add the soymilk, Tofutti, brown rice syrup, carob, and vanilla to the tofu and process until well blended. Pour mixture into your ice cream maker and freeze according to your manufacturer’s directions. When the ice cream is ready, gently fold in the sliced strawberries. That looks delish! I love the addition of the cream cheese–I’d never thought of that. Been seriously thinking about investing in my own ice cream maker so I can control the ingredients in it and you’ve been an inspiration, thanks! That ice cream you made looks fantastic! I really wish I had an ice cream maker. This looks and sounds so good! Mmmmmmmmm! Sounds great! 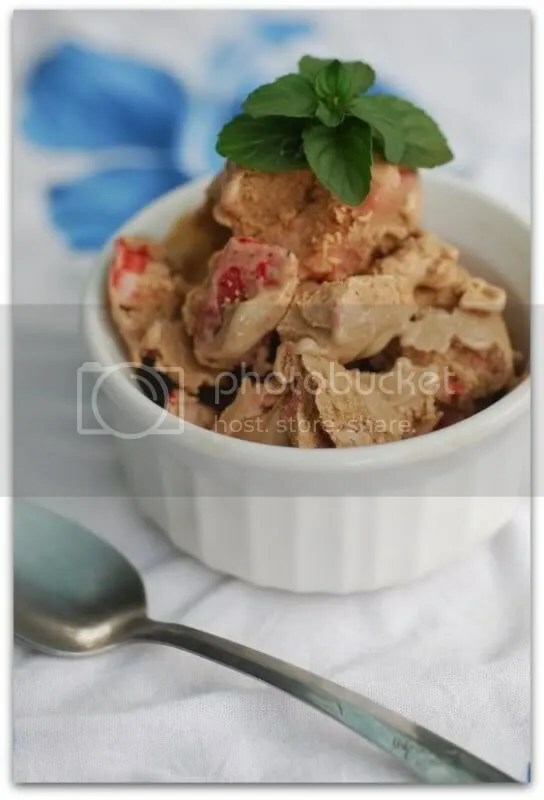 Does the tofu work on this recipe?Because I made ice cream with tofu[no creamcheese added- and I found that tofu doesnt freeze well and the texture is weird. Looking forward to a reply! Thank you, everyone, for the lovely comments! To answer your question, Ninaki, this is the first time I used tofu in my ice cream. I have only used soy yogurt up to this point, but the tofu worked beautifully. I do not make large batches of ice cream and only small amounts end up in the freezer overnight. It definitely froze into a very hard ice cream, but I softened it up in the microwave before serving and it worked great. I also did not find the texture to be weird. If you give it anther try, please let me know how it turns out! Not that I’m impressed a lot, but this is more than I expected for when I stumpled upon a link on Delicious telling that the info is awesome. Thanks.